Steve Ballmer's latest hobby, USAfacts.org, cast a spotlight on the effectiveness of local, state and federal governments when it launched in April. Its easy-to-read dashboards allow ordinary citizens to compare government's performance of its core missions with spending at all levels. In a roundabout way, that's made the former Microsoft CEO something of an evangelist for companies like SAP, which has released a new cloud service to help public sector organizations manage their spending. USAfacts and OpenGov, a young company offering financial reporting, budgeting and publishing tools for the public sector, are stirring interest in ERP tools for government, and that's creating opportunities for SAP to get involved in the sales cycle, according to Darren Koch, SAP's chief product officer for small and medium-size businesses. "It's just a tailwind for us," he said. Koch joined SAP when it acquired travel expenses management company Concur, where he was senior vice president of global product and platform strategy. Now, among other products, he's responsible for Business ByDesign, the cloud-based accounting, purchasing and planning software package SAP originally designed for small to medium-size enterprises. As a taxpayer, Koch wants to see governments update their dusty old green-screen terminals. It's a motivation for his colleagues too: "There's a tremendous value for the team in helping governments be more efficient," he said. ByDesign has been something of a slow burn in the 10 years since it launched, and on several occasions analysts have wondered whether SAP would stick with it. Recently, though, SAP has doubled down, allocating more programmers to ByDesign. There's now a core development team of 300 to 400, Koch said, a number of them there since the start. Koch would recruit more if he could, but it's not easy finding the right skills. "We're less budget constrained on hiring than we are talent constrained," he said. The expansion has given the team the resources to add the necessary features to ByDesign to win over U.S. public sector customers, including support for encumbrance accounting and reporting in accordance with Governmental Accounting Standards Board requirements. "Imagine you're a government employee and you take a trip. In the U.S., as soon as it's approved and before you've even taken it, the government needs to set aside the money and record the liability for that approved spend, and then they need that approval to flow into all the impacted cost centers," he said. "How you encumber, how you take that spend and how you put it as a liability, it starts to look like a core ERP use case." Koch sees a billion-dollar opportunity for SAP and its integration partners in the 90,000 U.S. government entities that are potential users of ByDesign. Don't expect it to convert them overnight, though. "Government purchase decisions roll out pretty slowly," he said. For that reason, the company decided to skip beta testing or customer trials. Koch hopes to have the first government customers live within the year, though. "I would expect our typical sales to implementation cycle is longer than our corporate customers, but not that much longer," he said. While this is a U.S. only service for now, if all goes according to plan then can expect versions of ByDesign tailored for governments in other countries in time -- but likely one at a time. "Governments get very interested in data security and where the data is housed and how many people have access to it, and things like that," Koch said. Dealing with that increases operational complexity and, while it's nothing SAP can't handle, it's something Koch prefers to handle one country after another, rather than all at once. Government customers will pay for ByDesign in the same way as enterprises do, with the monthly subscription fee based on the number of users. Koch wouldn't be drawn on the details. In addition to the features tailored for the public sector, they'll get full access to all the features of the enterprise version -- although, as Koch said, things like the "order to cash" function may not be as useful. 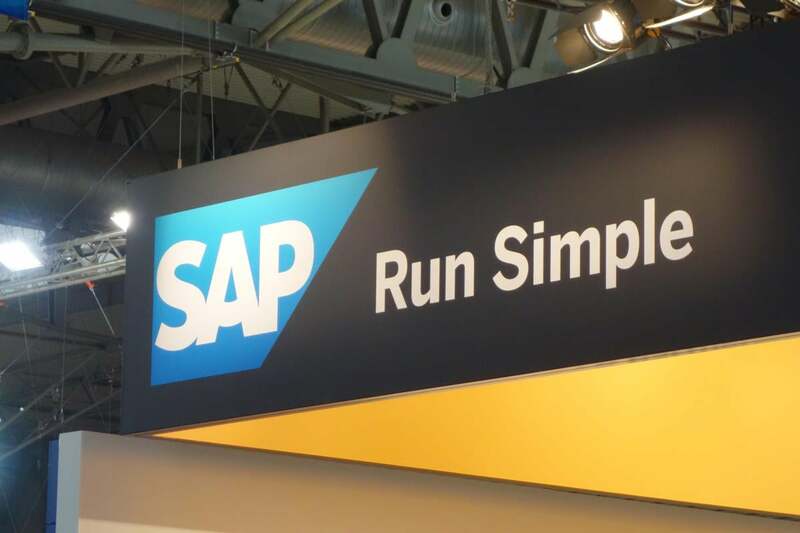 SAP will work with existing ByDesign partners to build out the service, particularly those with experience of the data migration component, "rarely the most pleasant part of an ERP deployment," as Koch put it. "The intent is that we are the digital core: payables, receivables, invoicing," said Koch, with the system also becoming the master data repository. Switching out the green screens could allow governments to modernize their activities in other ways, too. "It opens the opportunity for some really interesting things. The usage of CRM to manage your interactions with your citizenry. Who sent a letter, made a phone call?" he said.